Stringing Fool: Focus On: "It's a Wrap!" Focus On: "It's a Wrap!" This week's photo prompt from Sally Russick and Focus on Life, is All Wrapped Up. Here are some of the definitions she gives us for "wrap:"
7, To surround or involve in a specified quality or atmosphere: The plan was wrapped in secrecy. Bye bye, winter. Hope to conclude filming you soon! To see how others interpreted this prompt visit The Studio Sublime. Me too, Beti! I am so ready for Spring! I don't think we had an hour total of sunshine this whole week! LOL - talk about being ready to bid winter away! Lovely pictures: the snow makes for a special beauty and you captured it perfectly! I feel for you, I'm sure if I lived in an area that got snow I would be so ready for it to be a wrap too! 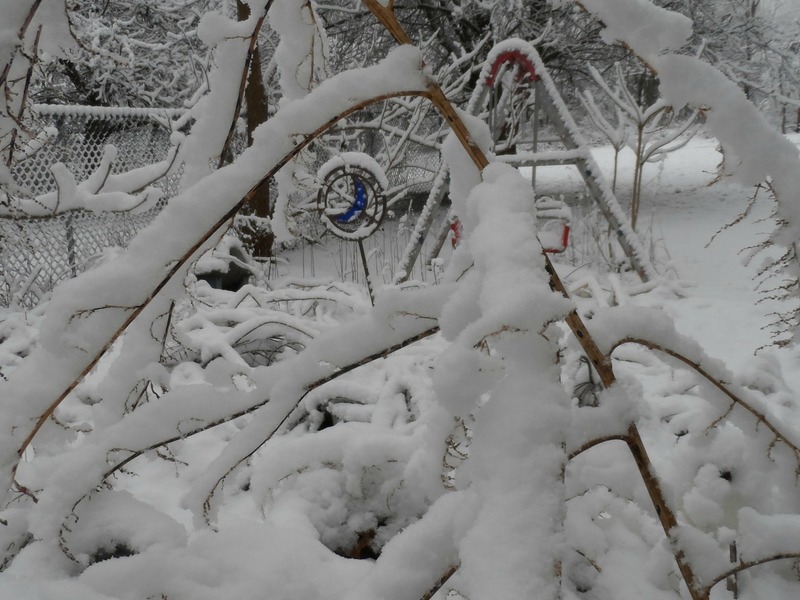 Beautiful photos of your snow wrapped garden. Beautiful photos and I love your interpretation of all wrapped up. I liked your take on the prompt it tells a story of spring a coming! Oh your photos made me smile, especially that last one. I kinda want to open my front door and yell at the snow "ok, that's a wrap, be on your way!" but it'll be a while. Beth, your beautiful snow photos ALMOST makes me miss the winter snow, but I'll enjoy from afar!! I am so ready for spring. We were supposed to get snow and didn't. I'm perfectly happy looking at your snow photos! 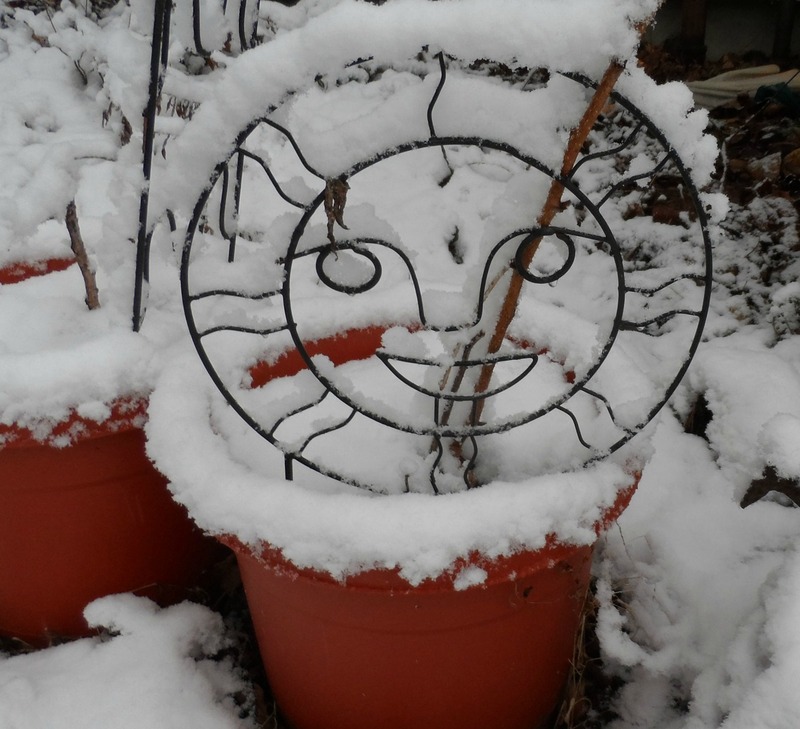 The irony of the sun covered in snow!!! I hope the sun comes out for real, real soon!! Oh, I'm so tired of winter too! 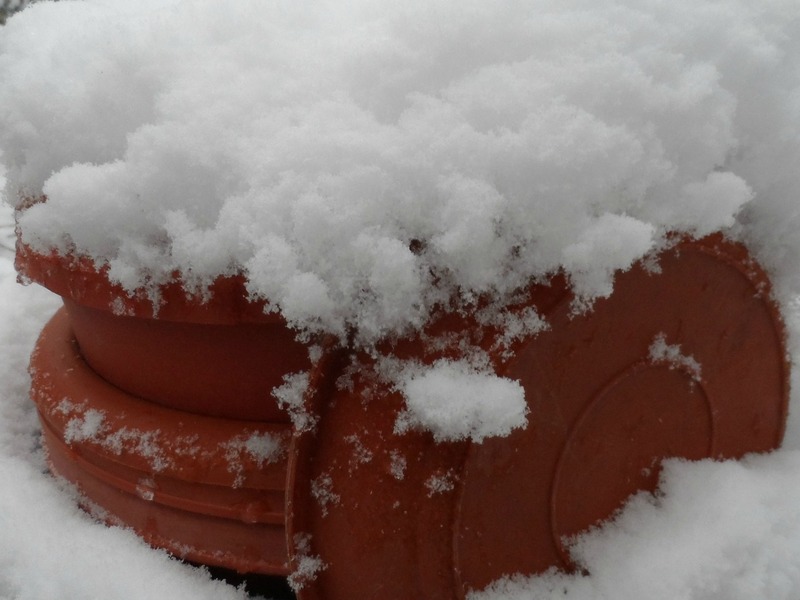 Hope your snow disappears fast!Beautiful pictures, though! I think you have winter a wonderful send off. I hope it works. Such fun photos. I love this and your snow shots are wonderful! 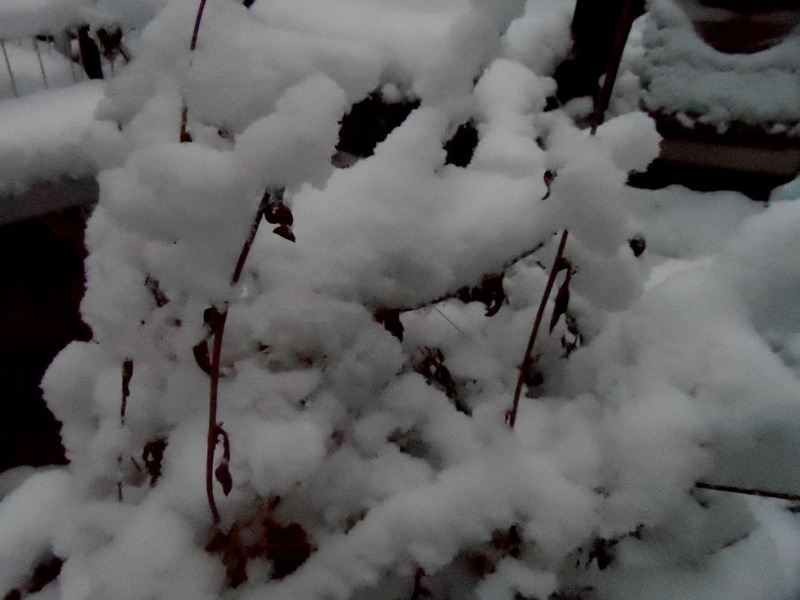 The snow is so lovely from my perspective of mild winter and warmer weather. Soon! Spring will be there soon. Beautiful photos! 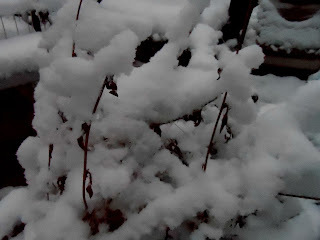 I love the sight of snow--it brings me back to my childhood when we sometimes were stranded for days out in the country, no school, just pure fun in the snow. Of course these recent snows oversayed their welcome in my opinion, and I'm so glad to see the last of it going away. You certainly are all wrapped up in snow this year! Beautiful shots from my viewpoint - though I'm sure you're tired of it. Cool interpretation - your photos are amazing! Hope it warms up for you and Spring comes soon!! Amen. Goodbye winter! Great photos ... now, shove off and we can all photograph you next year - ha! Stay warm!! I love how you put the definitions with the photos, so clever! Beautiful photos and love how you applied the words to each one! We are having a Spring-ish day today and I'm in the mood to deep clean, open the windows, play my music loud and proud and putz around the house!!! I love how you showed us each definition of wrapped up! I am so done with winter too!!! I am so done with winter too We went to Costa Rica for 18 days in feb... I now remeber why I don't do winter holidays ... it is so depressing coming back to a snow storm! What great interpretations- love all these photos! A very imaginative photo shoot for this week's prompt. Love the fluffy snow but yes, I hear you....it's time for spring! I like how you took a definition of "All Wrapped Up" and applied it to your photos. Great job. Great pics Beth. I agree that it's time for spring. It took me 4 hours to plow my driveway and yard from this weeks snow. Wonderful examples of all wrapped up. I hope Spring is on her way! 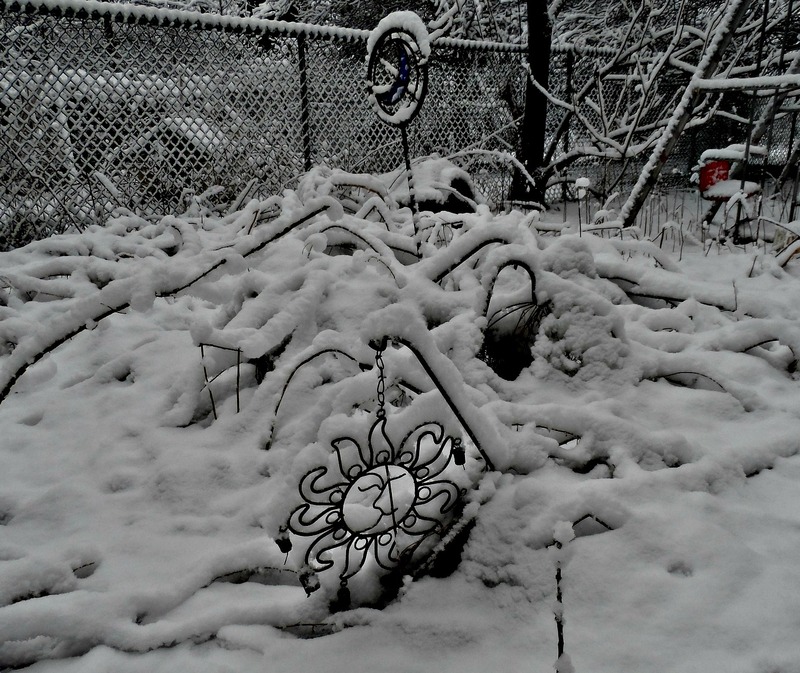 Ohh, it looks chilly, but so pretty - and what a fun interpretation of this week's theme. Looks like your neck of the woods is still pretty wrapped up in snow! At least it is beautiful to look at! I just love your wrappings. Such a unique way of looking at the words. I love how you illustrated each meaning, and I am with you, looking forward to winter wrapping up soon! Focus on: A Knock on the Door!